As technology progresses, the need for faster speeds and more compute capacity is expanding at an exponential rate. As the demand increases, the technology to support that demand is also improving and changing rapidly. Fiber Optics has been a fast-changing industry, and, with all of the change, it can be difficult to stay up on the trends. In this article, we'll explore the different connectors and which ones to use when. The future of Fiber Optics? 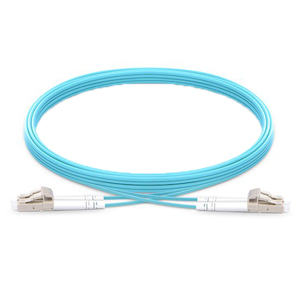 LC Fiber Optic Connectors are the standard connector used in the Data Center and Telecom industries today for single core cables. LC connectors have one fiber strand inside of each of them, and, as shown above, can be molded together into a 'Uniboot LC connector' when used in a duplex fiber. LC connectors are the standard used for single core cables in modern data centers due to their compact size and ease of installation. 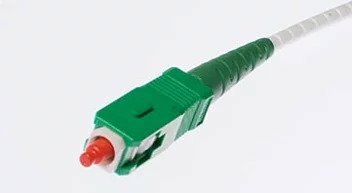 LC connectors are most commonly either in a jumper cable to connect a patch panel or switch to equipment, or, as a breakout from an MTP or multi-strand cable. What does an LC connector typically mate with? 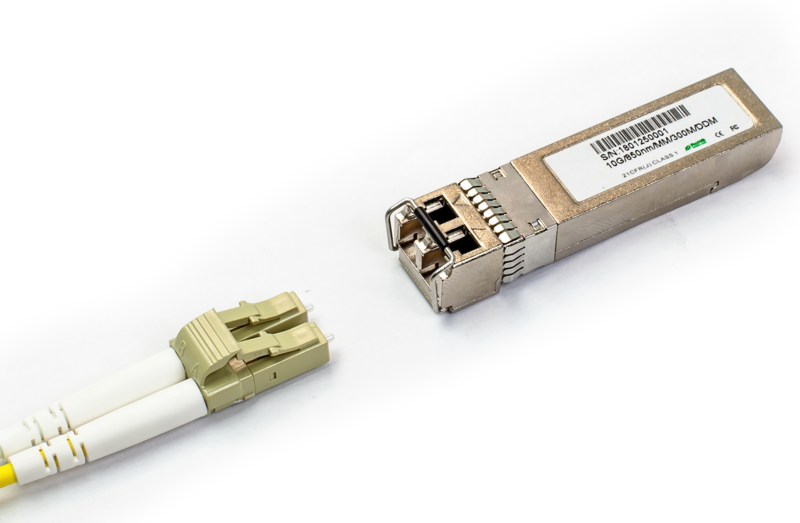 LC connectors are typically used to mate with LC Transceivers, which then mate with a router or a switch as shown in the adjacent photo. 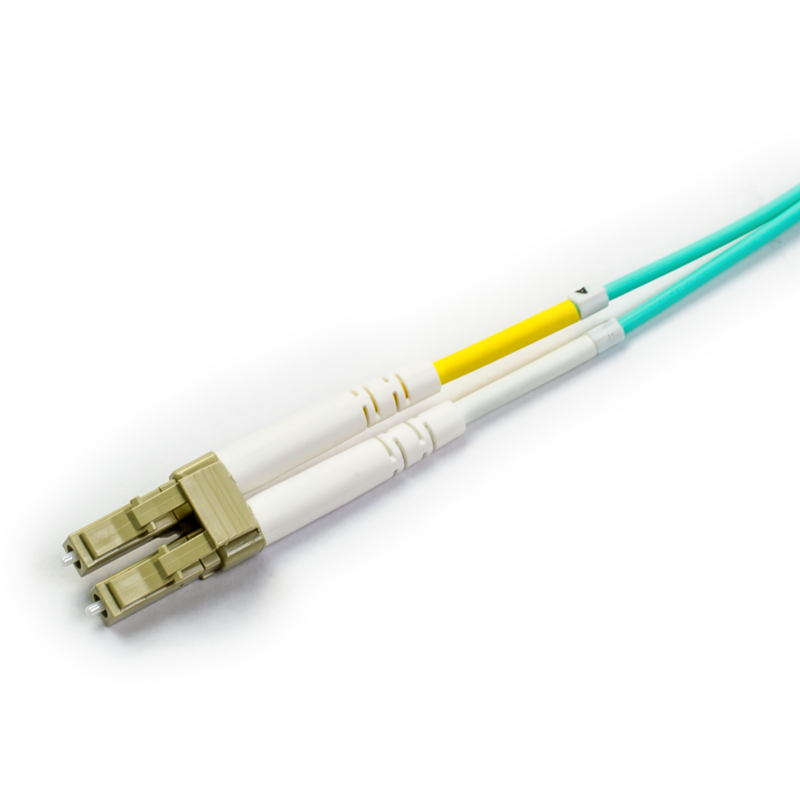 LC connectors can also mate with an adapter to convert them to an ST, SC, or other types of fiber optic connector. 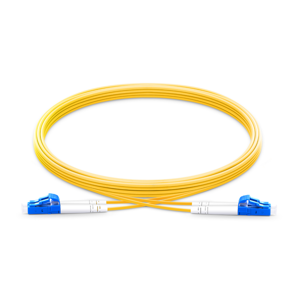 What types of fiber are LC connectors compatible with? LC connectors work with Singlemode and Multimode fiber optics including OS2, OM1, OM2, OM3, and OM4. One of the beautiful part of fiber optics is that 'any' connector can be on the end of the fiber strand with complete interoperability. The SC Connector was made by the Nippon Telegraph and Telephone (NTT) labs in the mid-1980's and was one of the first connectors to utilize ceramic ferrules. The SC connector is often called the square connector and has a push-pull coupling end face and a spring-loaded ceramic ferrule. The SC connector was standardized into the TIA-568-A telecommunications specification in 1991 and has since grown in popularity significantly. The SC Connector dominated the fiber optics for more than 15 years and is still one of the most common found connectors in the datacom and telecom industries. The only downside for SC connectors is the larger size than the newer, smaller LC connector mentioned above. LC connectors are almost exactly half the size of an SC connector, making their use in high-density applications decrease in popularity. ST connectors feature a bayonet twist locking mechanism that secures the connectors together. ST connectors were first made by AT&T and are known as 'Straight Tip' connectors. ST connectors use a 2.5mm ferrule. Because the ferrule size is the same FC, SC, FDDI and ESON connectors, they can be mixed and matched by using a hybrid adaptor. ST connectors were commonly found on multi-mode cables, however, this is now being replaced by the use of the SFF (small form factor) LC connectors.